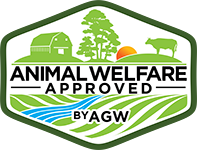 Nelson and Mary James raise Certified Animal Welfare Approved by A Greener World (AGW) and Certified Non-GMO by AGW pigs in Maple Hill, North Carolina. Nelson is a third-generation family farmer, and the 30 acres he and Mary farm have been in Nelson’s family since the 1800s. In addition to raising Certified Animal Welfare Approved by AGW and Certified Non-GMO by AGW pigs, Nelson and Mary grow a variety of produce on the farm—something Mary wanted to do after retiring from her job with Pender County schools in 1996. The pigs at Dogwood Nursery and Farms are raised outdoors on pasture or range, where they are free to root and forage as pigs naturally do. 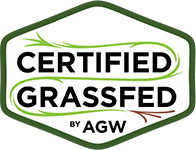 This high-welfare management is a fundamental component of AGW certification and is known to have environmental, nutritional, and culinary benefits. Nelson and Mary regularly move the pigs regularly to fresh ground, maximizing the animals’ natural health and immunity, and preventing the build-up of internal parasites, avoiding reliance on chemical treatments. The pigs are used to naturally cultivate land for vegetable production: “They’re great at clearing out weed roots and fertilizing the ground with their manure,” Mary explains. “We don’t have to buy fertilizer, because the animals put what we need into the soil. Nelson and Mary are truly an example to other farmers in the region, winning the North Carolina Small Farmers of the Year award in 2006 and 2008 in recognition of their extensive outreach efforts and their promotion of sustainable farming techniques. They also helped launch NC Willing Workers, a 12-member African American cooperative whose goal is to raise awareness of sustainable farming. Mary is currently the president of the nonprofit cooperative. In the future, Nelson and Mary plan to apply for organic certification, as well as AGW certification for other species on their farm. 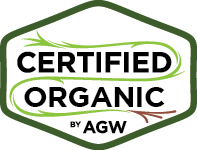 Their goals are to diversify their operation even more and to share their knowledge of sustainable farming with the next generation. 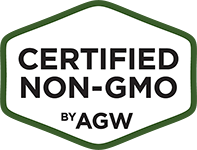 The Nelsons are also members of the North Carolina Natural Hog Growers Association, a cooperative of Certified Animal Welfare Approved by AGW and Certified Non-GMO by AGW hog producers who sell to restaurants, retailers and food processors throughout the region.